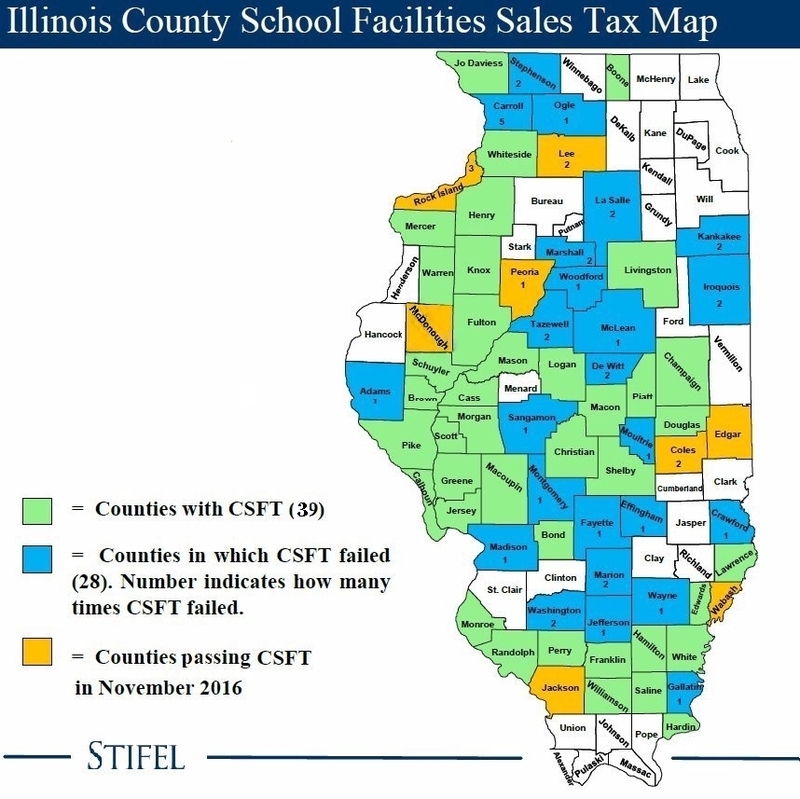 Eight counties adopted sales tax plans for school facilities. Voters approved 13 of the 26 local school funding increase referendum questions on the Nov. 8 general election ballot, including ten bond issues and three tax increase proposals. Many school districts will also benefit from the eight countywide sales tax referenda approved for school facility purposes. The largest of the district finance propositions adopted was in Champaign CUSD 4, where $183 million in new bond revenue is to be raised after voters approved the district’s bond issue. The proposal asked voters to endorse borrowing to fund various school additions and renovations, and to completely replace one school building. Increases were sought under the Property Tax Extension Limitation Law (PTELL), also known as tax caps, to authorize increasing property taxes in five other school districts. Voters approved two tax increases under PTELL: in LaGrange SD 102, a .42 percent hike, and Newark CCSD 66, a .70 percent hike in the PTELL limit. Voters rejected such increases in Carlinville CUSD 1; Central City SD 133; and Norridge SD 80. In addition to the school district tax propositions, countywide sales tax proposals to benefit schools won approval in all eight counties where they were proposed: Coles, Edgar, Jackson, Lee, McDonough, Peoria, Rock Island, and Wabash. 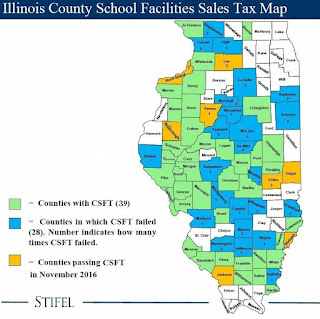 Since the state law on this topic took effect in January 2008, 47 counties have now adopted the retailers occupation and service occupation tax (sales tax) for the benefit of school facilities. Other education-related proposals on the November ballot included three school district consolidations. One was approved, combining Dimmick CCSD 175 and Cherry Grade School District 92. Meanwhile voters turned down a consolidation proposal for Kewanee CUSD 229 and Wethersfield CUSD 230. The latter proposition failed because voters in the Wethersfield district overwhelmingly voted no, even though Kewanee voters approved the idea and the combined vote in the two districts favored the plan. Voters also weighed in on a consolidation proposal for combining three districts: East Alton-Wood River CHSD 14, Wood River-Hartford ESD 15, and East Alton SD 13. It is currently too close to call, with 2,654 voting yes, and 2,663 voting no. There were a handful of miscellaneous propositions, including six to authorize the at-large election of school board members. 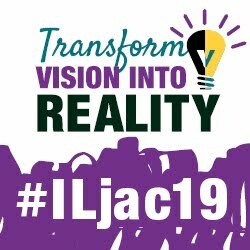 One other miscellaneous proposal received voter approval of an alternative revenue plan for using a state allocation of Personal Property Replacement Tax (PPRT) funds, among other revenue sources, to construct a new school in Laraway CCSD 70-C (Joliet). Finally, seven of the eight non-binding advisory questions on the ballot regarding education were approved. Those approved ranged from one question put to Chicago District 299 voters about whether the state should provide full and equitable funding for the Chicago Public schools, to one asking voters in Waltham CCSD 185 (Utica) whether the district should make every possible effort to use funding sources to build a new Waltham School Building without increasing property tax rates. Meanwhile voters in the same district said no to an advisory question on whether to build one new Waltham School Building to replace the current Waltham North and South school building. Voters also approved advisory questions in portions of two Chicago wards when they were asked about placing a limitation on any new charter schools in their area. But a question about expanding use of charter schools in Chicago was voted down by a wide margin in every precinct where it appeared on the ballot in Chicago Wards 1, 25, 26, and 27. Passing rates of school finance referenda since 1989 are available online. video is not displaying correctly, click here.